Enjoy this CRAZY offer today. Buy Rs.9 voucher for Chaayos & enjoy 50% off on your bill. No Terms and Conditions on the Bill Amount. Hurry!!! We have a super sizzling WOW-mazing offer for you! Head straight to Wow! Momo & start gorging on sizzling tandoori momos, baked au gratin, hot sizzlers & more at 50% Off with a voucher of JUST Rs. 9! Hurry & slurp on the spice with your friends with this mind-blowing offer. DO-NUT curb them! Enjoy 20% off at Mad Over Donuts with a voucher of JUST Rs. 9. Buy Now. You can choose from their boxes such as ‘Classic Box of 3 Donuts’, ‘Assorted Box of 6 Donuts’ and ‘Strawberry Dream Waffle’ and ‘Cookies and Cream Waffle. Free Desert on your restaurant booking at Eazydiner. The select restaurant like Pa Pa Ya, Town Hall, Ping's Café Orient, AnnaMaya, Artusi, Public Affair, Chor Bizarre, OLLY - Olive's All Day Café, Thai Pavilion, Artusi, Indian Accent, Ziu, Pikwik, Kheer, Kofuku, Matamaal, Latitude 28 and many more. Offer is valid for the limited period so book your table now. Hurry! Book Now. Get upto 50% Off on Top Restaurants in Mumbai. 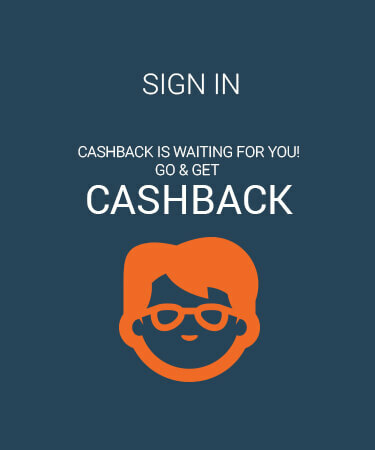 Book a table and then dine in to get PW Cashback. Hurry! Book Now. Get 50% Off on Top Restaurants of Delhi NCR like Spectra, Farzi Cafe, SodaBottleOpenerWala, Food Exchange etc. Book a table and then dine in to get PW Cashback. Hurry! Book Now. PaisaWapas offers you the best prices on various products featured on Eazydiner, EazyDiner has been created by a team who is extremely passionate about food, wine and all things fine. As a collective group of Chefs and Hoteliers who have worked in some of the best hotels and restaurants around the world. Step 2: Click on the offer that you want. This will take you to Eazydiner Website. 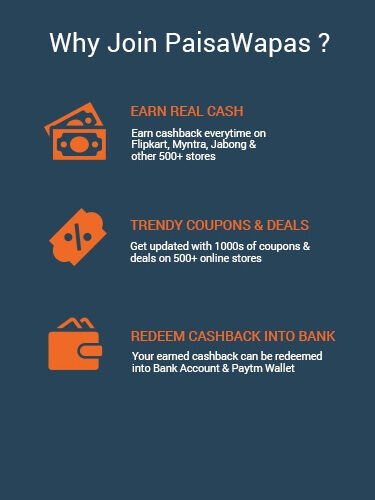 Step 3: Shop normally at Eazydiner . Pay as you normally do, including by Cash-on-delivery.